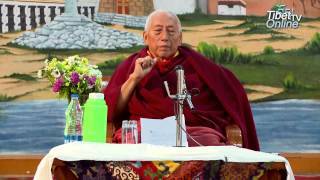 Prof. Samdhong Rinpoche, former Kalon Tripa of the Central Tibetan Administration, addressed the teachers and staff of upper Tibetan Children’s Village (TCV) School in Dharamshala at the school’s reopening after the annual winter vacation on 28 February. 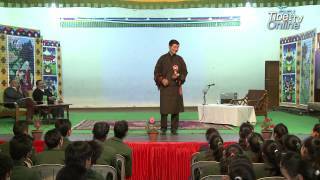 Sikyong Dr. Lobsang Sangay Talk on Leadership to class 10 Tibetan students who attended the Leadership workshop organised by the Department of Education, CTA on 2nd January 2015 at Lower TCV school, Dharamsala. Department of Education organizes leadership workshop for class X students at Lower TCV School from 2nd to 9th Jan, 2014. 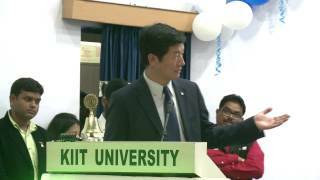 Sikyong Dr. Lobsang Sangay inaugurates the opening ceremony on 2nd Jan, 2014. The 54th founding anniversary of Upper TCV School was held on October 02, 2014 in Dharamshala. His Eminence the 17th Karmapa Ogyen Thinley Dorje graced the occasion. Tibetan Children's Village School with its 7 branch schools in India continue to be the pioneer of Tibetan children's education in exile. Presently, there are over 16,726 children under its care. Sikyong Dr. Lobsang Sangay graces the golden jubilee celebration of CST Kalimpong on 8th Oct 2014. 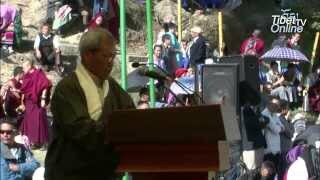 Sikyong was the chief guest while Kalon Ngodup Tsering and State MLA Dr Harka Bahadur Chettri were guests of honour on the occasion. Other guests include dignitaries from the local district administration, the Tibetan settlement officer and, former students and staff of the school. 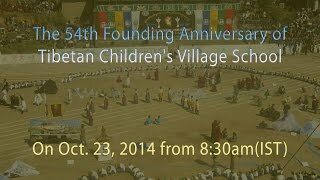 The 54th Founding Anniversary of Tibetan Children's Village School, Dharamsala on Oct. 23, 2014 from 9am onward (IST). Pal Gyalwang Karmapa Rinpoche will be the Guest of Honour and Honourable Mr. Penpa Tsering, Speaker of TPiE will be Chief Guest. In this video, few senior students will explain the various schemes initiated by the Department of Education CTA to improve the overall quality and standard of education of the Tibetans in exile.